I love this living room! The patterns are brilliantly mixed and matched; learning how to accomplish this is truly an art. It’s warm and inviting but still bright and cheerful. 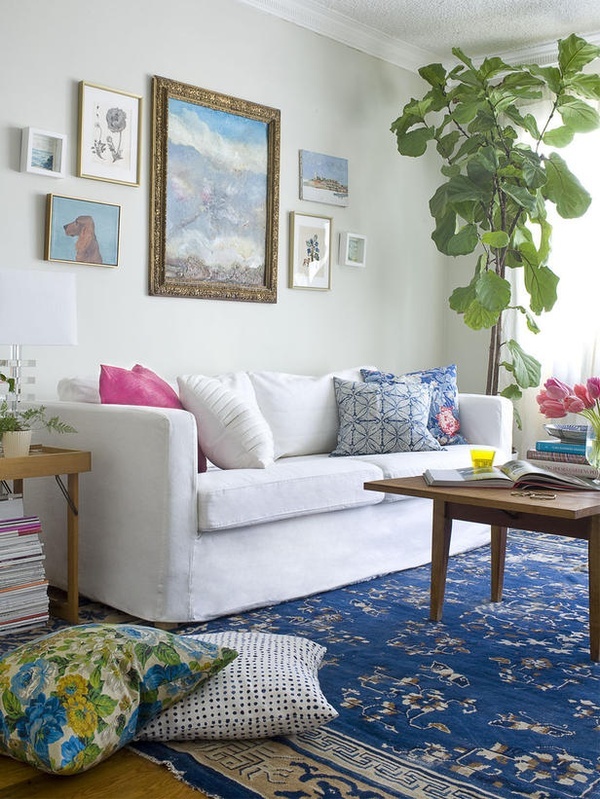 What do you think about this eclectic space? This entry was posted in Uncategorized and tagged art, Bold, Color, design, inspiration, interior design, living room, mix and match, white. Bookmark the permalink.